Know a teacher or paraprofessional who is dedicated to promoting inclusion of your loved one with Down syndrome? Or maybe there's someone special on staff at school who works especially hard toward including your student in activities with peers? 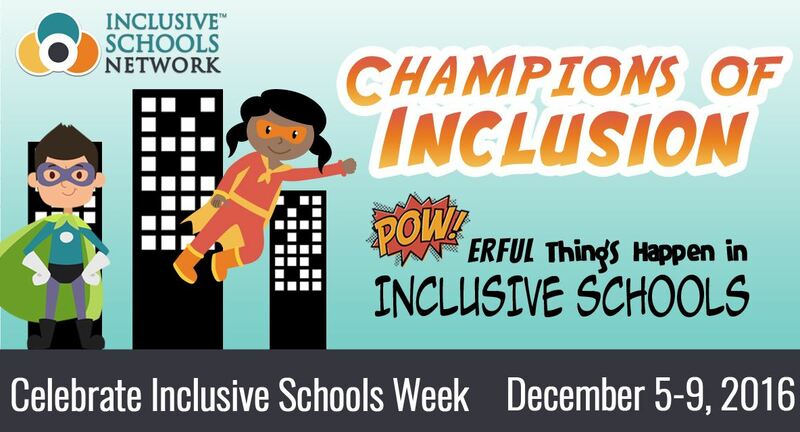 DSAF wants to help YOUR CHILD'S SCHOOL celebrate Inclusive Schools Week by recognizing CHAMPIONS of INCLUSION! DSAF will send a certificate of recognition* AND a gift to YOUR CHAMPION! Click the link above for more information and free resources that make celebrating Inclusive Schools Week easy! *Your child's name will appear on the certificate, unless otherwise noted with nomination.